A new Maryland commission to study over-testing of children in public schools has yet to begin work, but new standardized tests based on the Common Core curriculum standards are already saving the state money, and four out of five Maryland students who took the tests did them online. 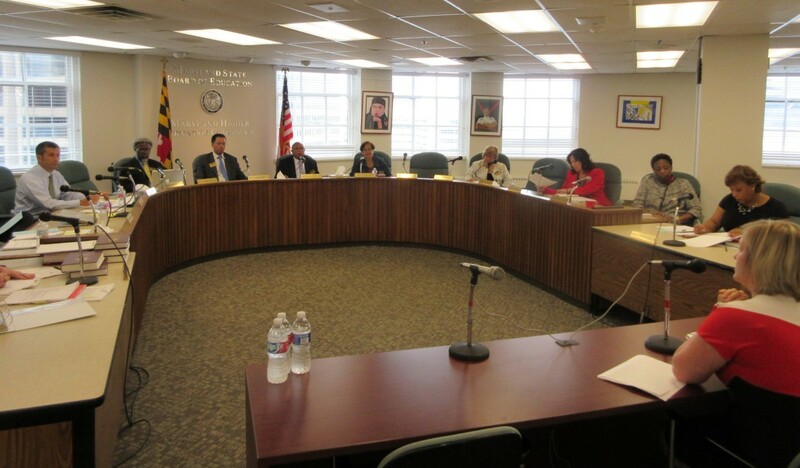 The Maryland State Department of Education “was able to save over $2.5 million compared to state assessments in the past,” State Superintendent Lillian Lowery told the state school board Tuesday. Results for individual students on these PARCC tests — developed by the Partnership for Readiness for College and Careers — will be sent to parents in the fall. Assistant state superintendent Henry Johnson said parents should find them “very informative” because they will show the students performance compared to peers in school, the state and rest of the country. The previous Maryland State Assessment did not make such comparisons for individual students. The electronic version of the PARCC test costs about $24 per test, compared to nearly $80 per test for the Maryland’s High School Assessment. About 1.3 million tests were administered this year in Maryland “with few technical glitches,” Lowery told the board in her report. There is a steadily shrinking pool of states that are part of the PARCC consortium developing the tests as political pressure mounted across the U.S. to abandon the Common Core standards, which are the basis of the tests. In Maryland, they are called the College and Career Ready Standards. There were originally 23 states part of the PARCC consortium. Last month Arkansas and Ohio withdrew from the group, and New York has dropped its relationship with Pearson, the company implementing the tests. The price per student is not to exceed $34 for the math and English assessments, for instance. Maryland has been taking a lead role in the consortium, and last year became the fiscal agent for the federal grant after Florida dropped out under orders from Gov. Rick Scott. Deputy state superintendent for finance Kristy Michel said the state has been administering the $111 million left in the grant which officially ends Friday, with $22 million left to pay out. “I think it has gone smoothly,” said Michel. Maryland representatives, including school-based administrators and teachers, are currently in Colorado for meetings beginning the process of setting “performance levels” for the PARCC, essentially determining what constitutes a passing grade for the tests. The process continues through August.